You open files every time you work on your Mac, most often, probably, by double-clicking them. But did you know that there are lots of different ways to open files? You can use your mouse, your trackpad, or even your keyboard. You can open files in windows, from menus, and from dialogs. Here are a dozen ways you can open files on a Mac. The basic way to open a file on the Mac — and on Windows as well — is to double-click a file. 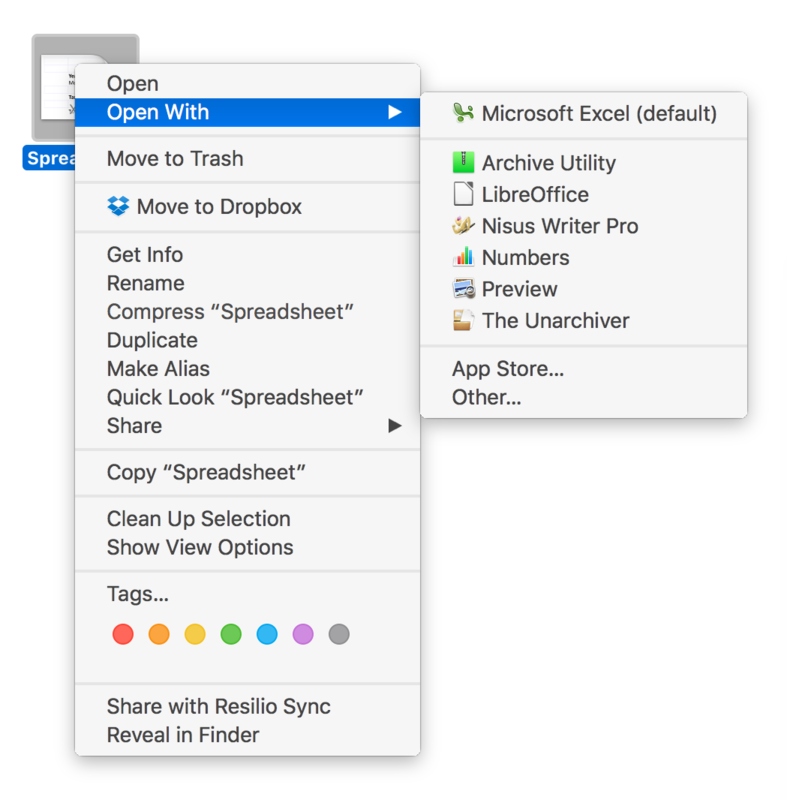 By default, it opens with the application that is assigned to work with its file type; so, if you have Microsoft Office on your Mac, a .doc file opens in Word, and an .xls file opens in Excel. 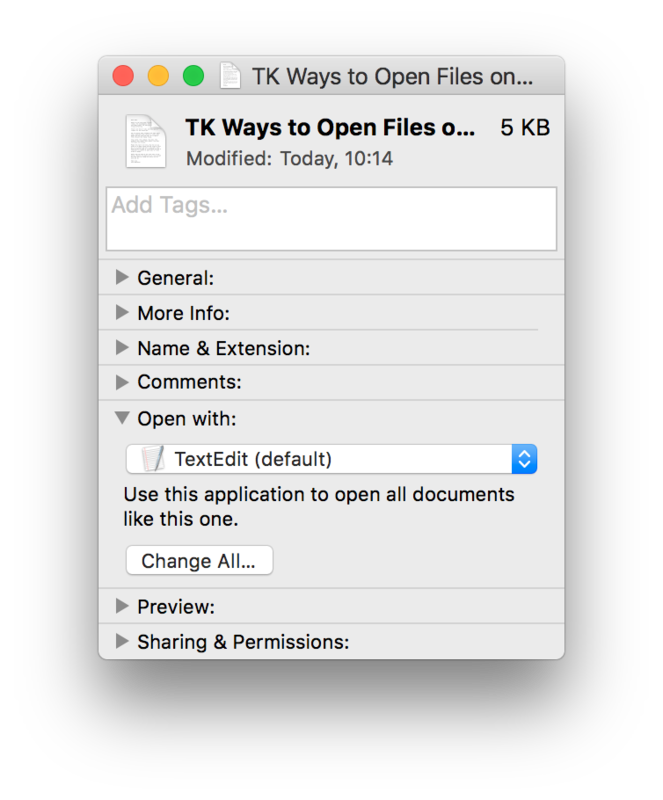 Only one app can open each file type when you double-click it, but as you’ll see below, you can open files with other apps, and you can change the default app that opens a given file type. If you receive a file as an attachment to an email, you can open it by double-clicking it, as you would a file in the Finder. You can open a file by dragging it onto an app icon, either in a Finder window, or in the Dock. If that app can open the file, it will launch (if it’s not already running) and display the file. You can also open a file from the keyboard. Select a file in a Finder window or on the Desktop, and press Command-down-arrow. As with double-clicking, the file opens with the app its file type is associated with. You can also press Command-O to open a selected file. As discussed in a recent article on The Mac Security Blog about using the Open and Save dialogs, you can open any file from an app’s Open dialog (if that app supports the file type). Just press Command-O in your app, navigate to the file, select it, and click Open or press Return. If you’ve worked on a file in a specific app, you can re-open it from that app’s Open Recent menu. Choose File > Open Recent, then select the file. Note that this menu only stores a limited number of files. 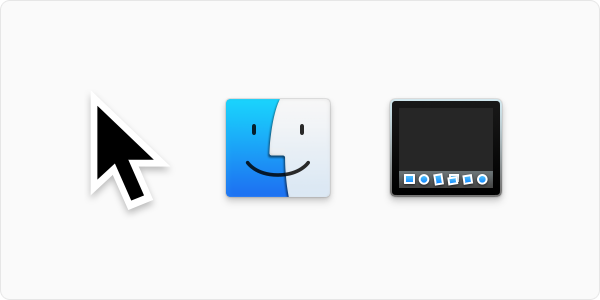 If you click and hold an app icon in your Mac's Dock, you’ll see that, if it can open files, there’s a menu showing recent items. Select a file to open it with that app. As above, this menu only contains a limited number of files. If you choose the Apple menu, then Recent Items, you’ll see a list of recent apps, documents, and servers. Select a file from the Documents section, and it opens in its assigned app. You can control how many items appear in these lists from the General pane of System Preferences. You can use Spotlight to search for files — by their name, or even by keywords in their content — and open them from the results. Just use the arrow keys to select a file and press Return, or double-click it. If you have added files to the right-hand section of the Dock (or the bottom, if you position the Dock on either side of your screen), a single click will open that file. And if you have folders in that part of the Dock, click and hold a folder icon to see a list of the files it contains. Select one to open it. If you select a file in the Finder then press the Space bar, you’ll see a preview of the file. If you then want to open the file, you can click the Open With… button at the top of the preview window. This will show the name of the app that is assigned to open that file type, and it will say, for example, Open With Numbers. If you right-click a file in the Finder, you’ll see two menu items: Open and Open With. The former lets you open the file with the app associated with its file type, and the latter displays a sub-menu containing all the apps that can open that file. This is the best way to open a file with an app other than the one that opens its file type by default. You can also select a file and choose File > Open With to access the same sub-menu. There’s a quicker way to do this, if you can see the file in the Finder. Type open, then a space, then drag the file onto the Terminal window. This copies its file path. Press Return to open the file with its associated app. I mentioned above that file types are associated with applications. 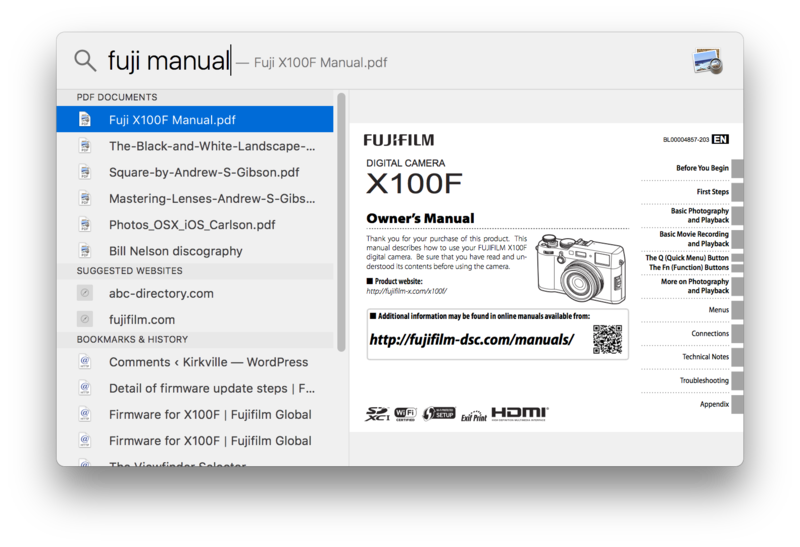 For each file type — such as .doc, .xls, .txt — there is one and only one app on your Mac that will open the files automatically, such as when you double-click files. But you can change this. Take as an example .txt files. By default, they open with Apple’s TextEdit. But you may have a preferred text editor and want all these files to open with this app. Select any .txt file in the Finder, then press Command-I. In the Open With section, you’ll see a menu showing that TextEdit is the default app. Click the menu and select your preferred text editor, then click Change All. The Mac will remember to open all .txt files in your selected app. Note that you will still be able to open these files with other apps, by dragging onto app icons, from the Open With contextual menu, and so on. Give these tips a try and you'll soon discover how they will make you more productive! This entry was posted in How To and tagged Command Line, dock, Finder, keyboard shortcuts, Mac, Open Dialog, Open Files, Quick Look, Recent Items, Recent Menu, Spotlight, Terminal. Bookmark the permalink.